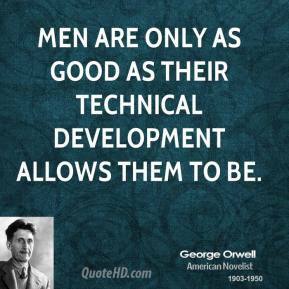 Men are only as good as their technical development allows them to be. 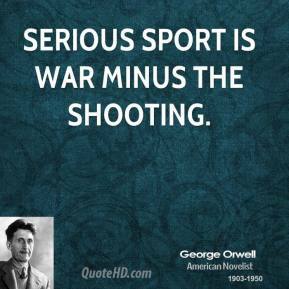 Serious sport is war minus the shooting. 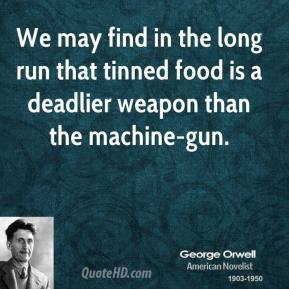 We may find in the long run that tinned food is a deadlier weapon than the machine-gun. 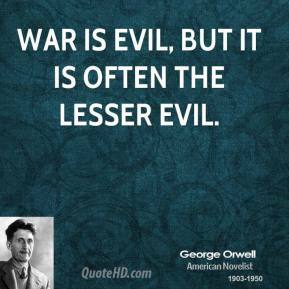 War is evil, but it is often the lesser evil. 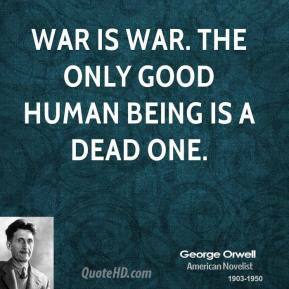 War is war. 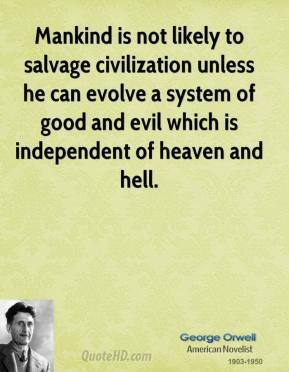 The only good human being is a dead one. 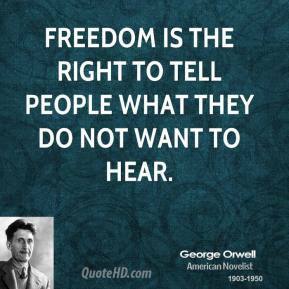 Freedom is the right to tell people what they do not want to hear. 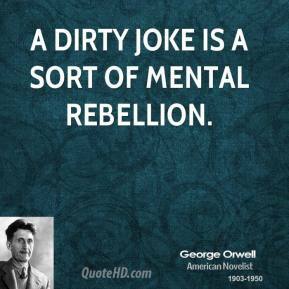 A dirty joke is a sort of mental rebellion. 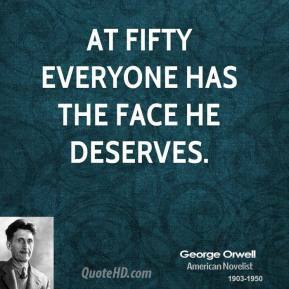 At fifty everyone has the face he deserves. 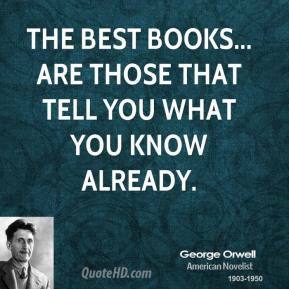 The best books... are those that tell you what you know already. 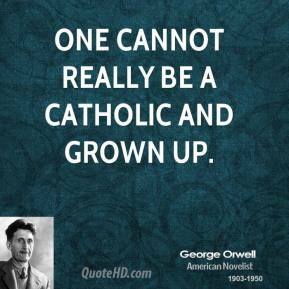 One cannot really be a Catholic and grown up. 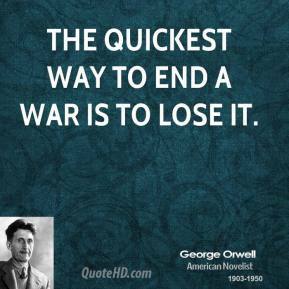 The quickest way to end a war is to lose it. 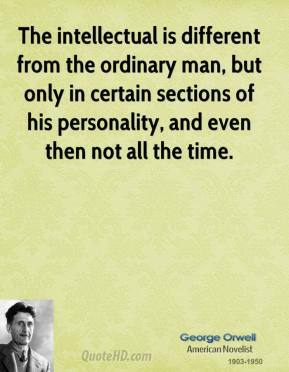 The intellectual is different from the ordinary man, but only in certain sections of his personality, and even then not all the time. 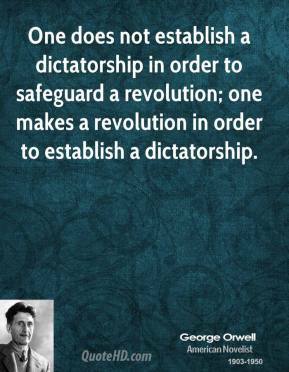 In our age there is no such thing as 'keeping out of politics.' 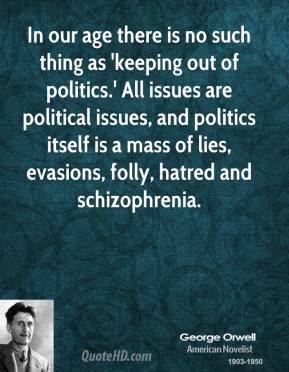 All issues are political issues, and politics itself is a mass of lies, evasions, folly, hatred and schizophrenia. 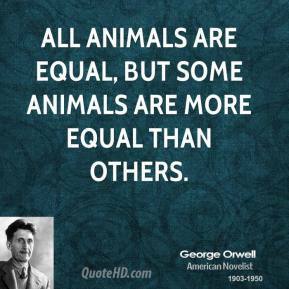 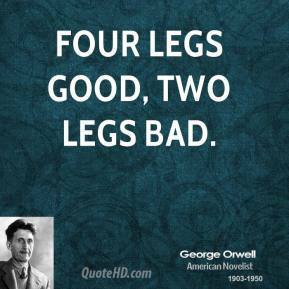 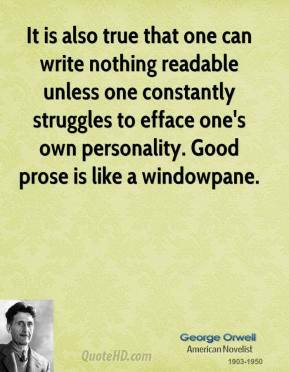 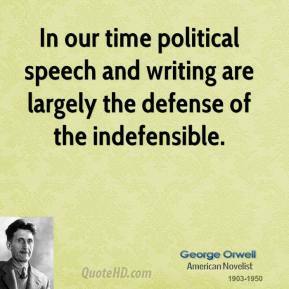 In our time political speech and writing are largely the defense of the indefensible. 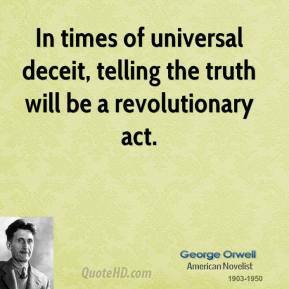 In times of universal deceit, telling the truth will be a revolutionary act. 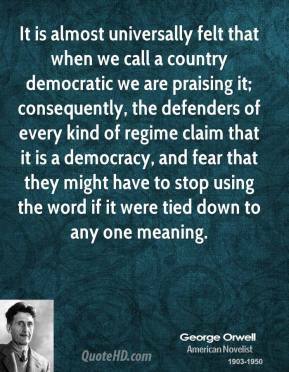 It is almost universally felt that when we call a country democratic we are praising it; consequently, the defenders of every kind of regime claim that it is a democracy, and fear that they might have to stop using the word if it were tied down to any one meaning. 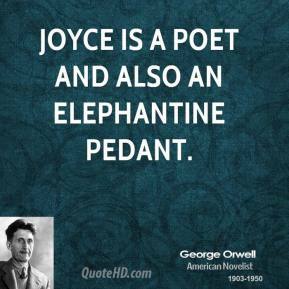 Joyce is a poet and also an elephantine pedant. 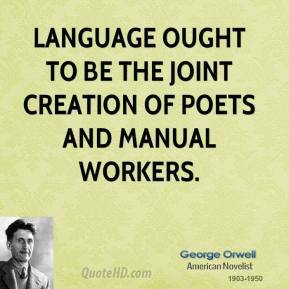 Language ought to be the joint creation of poets and manual workers. 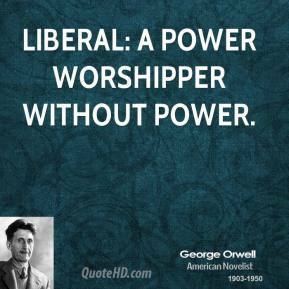 Liberal: a power worshipper without power.